“Baby it’s cold outside” was our theme song for the past few weeks. Like most of Canada we’ve suffered through some really cold weather. When you start hearing ominous phrases like “frostbite” and “Extreme wind chill” you know it’s time for some indoor activities. 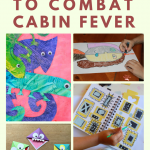 Are you wanting some fun ideas for indoor activities? Are you stuck inside trying to figure what to do with our child that doesn’t involve screen time? 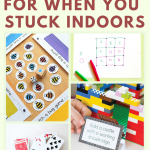 Below you’ll find a list of a variety of indoor activities for any child to do when they’re stuck inside! I needed this list when my kids were growing up. On those days when it was frigid outside and complete bedlam inside. I couldn’t take the boys outside to burn off some energy and sometimes it was even too cold to bundle up into the car and go anywhere interesting. To say that we would all go stir crazy was an understatement! Having a list of fun and easy activities that are ready to go at a moment’s notice was a sanity saver. So I scoured the Internet to create a this list of the best indoor activities to help you when the weather is horrid. You might want to pin this post, because you’re probably going to need it again. 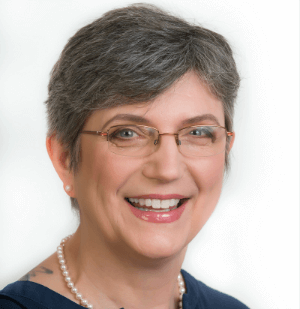 … and again….and again. AGHH! Most kids have great imaginations and love to use them. 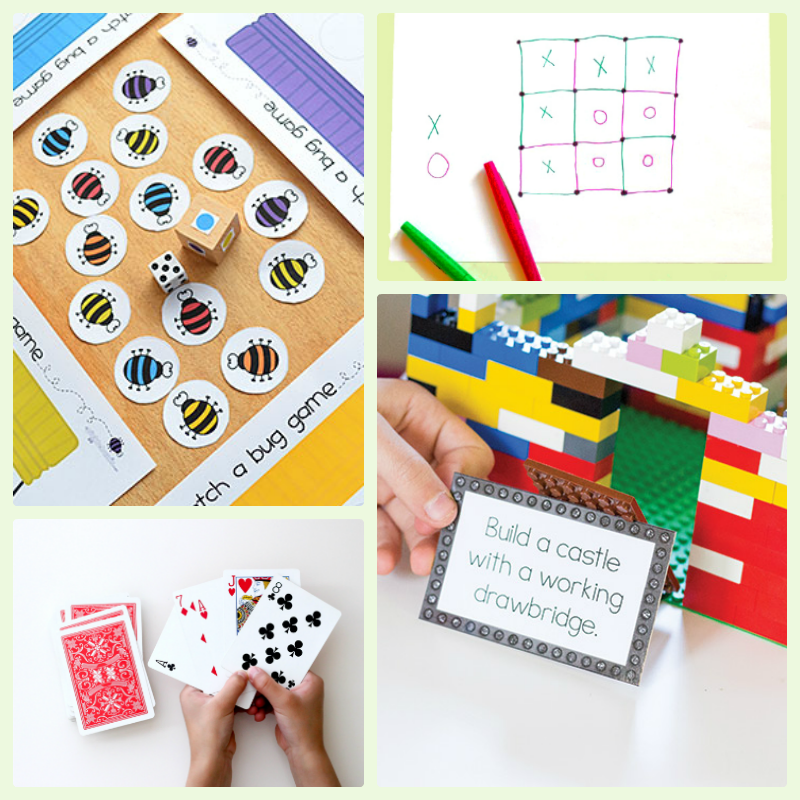 Here’s some great activities that will get those creative juices flowing. Get out some blankets and cushions and create a blanket fort in your living room. Once constructed invite your children to join you in some imaginative play. What will your fort become? Will it be a pirate’s lair, secret agent headquarters, or will you go exploring the jungle? Let your children take the lead and follow their imaginations into wondrous lands. When you are done it can simply become a place to snuggle and read together. Make some puppets and create a show. You’ll find some great ideas here and here. Alternatively challenge family members to make puppets out of household items. If you want to go one step further head over to P is For Preschooler to find out how to make a puppet theater from an old cardboard box. Set out a large cardboard box and some markers and see what happens. Raid your recycling box and invite your kids to create a cardboard city . Barley and Birch provides great instructions. This should get the creativity going. Buy some road tape and invite your kids to create a road system all around the house. Older kids might enjoy making these adorable tin can robots. 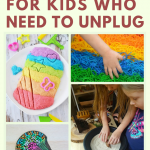 This activity requires a little more planning, but it would be super fun to do. When kids are stuck indoors they need to get that energy out. 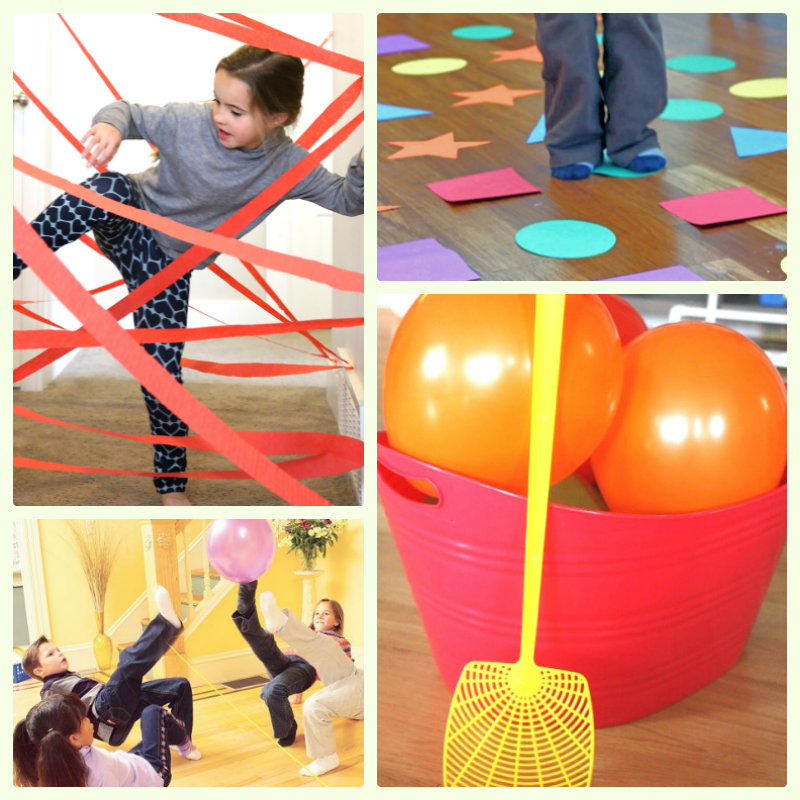 Here are some great indoor games to get them active! Have a dirty-sock fight. Take the socks right off your feet, ball them up and challenge your kids to a throwing battle. This activity is almost guaranteed to get everyone laughing. Raid your laundry hampers for extra ammunition. Make up teams to help out younger children. Hand out some balloons and see how long they can bat it back and forth before it hits the ground. Older kids can have more than one balloon or use one hand only. Make a ginormous pile of pillows, blankets, and stuffed animals, near a couch or the bottom of your stairway. Then invite your kids to jump away! 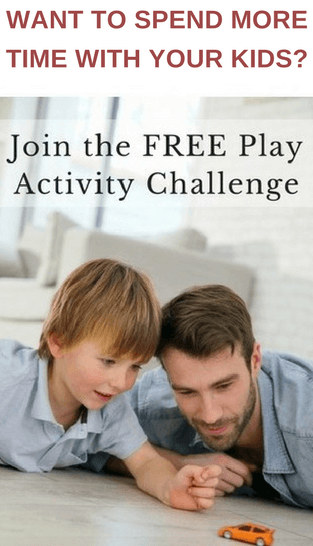 Invite your kids to create an obstacle course using furniture and household items. How fast can you go through? Bring out the art supplies. It’s time to get creative! If you feel like something creative why not make some art inspired by a favorite book. Meri Cherry shows you how to do that with some Eric Carle inspired mixed up chameleon art. Now bring out the art supplies and make some of your own. What pictures will you create? 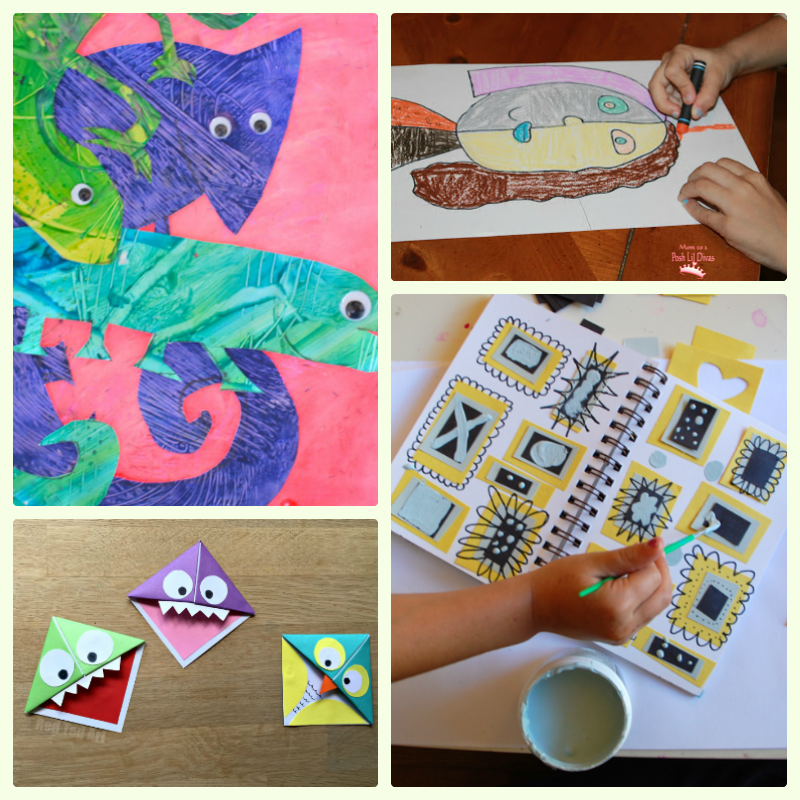 Rachelle from Tinkerlab shares some pictures from a collaborative sketchbook that she and her daughter are working on. In the post Rachelle describes how she and her daughter work together to produce the art. This is family connection at its best. I loved the conversation and bonding that occurs during the process. Introduce your children to Picasso by creating Picasso style portraits. Create a gallery by mounting the picture on the wall. These are a great few indoor games to play. Some of them double as learning activities, which is always a plus. Related: Make your own board game for indoor game fun! 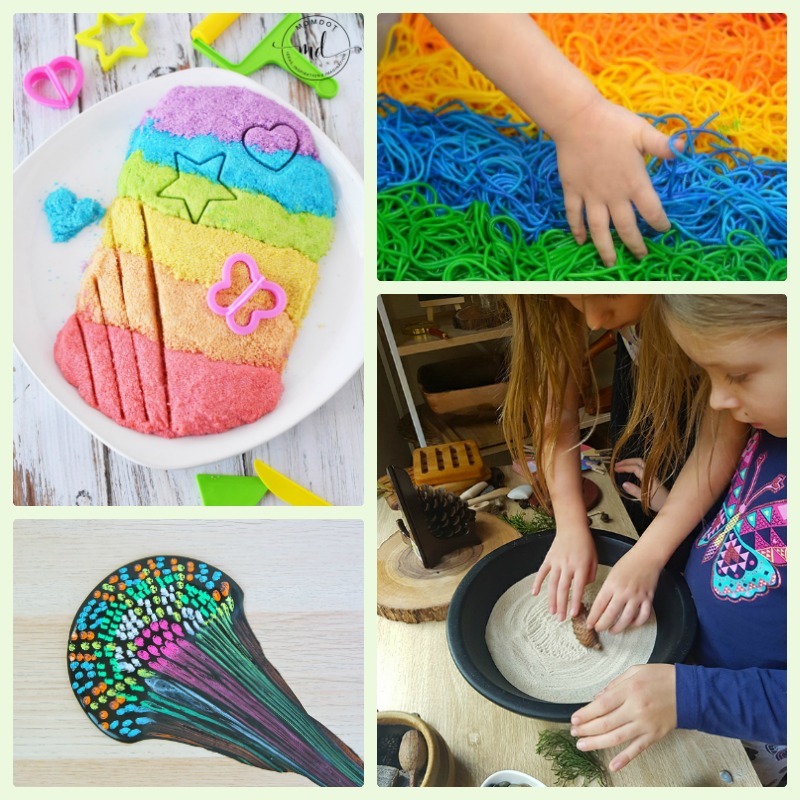 I know lots of kids that just LOVE hands-on, sensory play. Here are a few fun ones I’ve found to share. 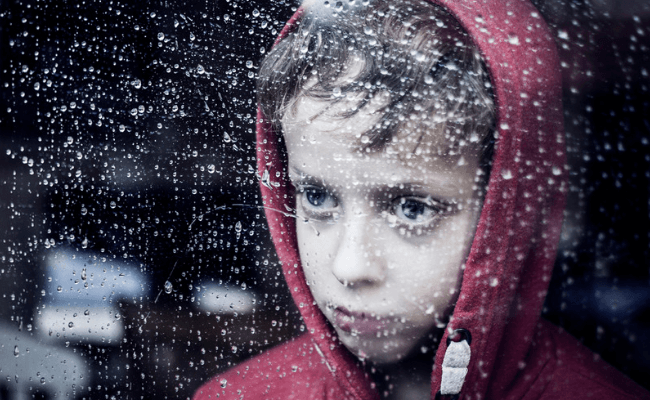 What are some of your favorite indoor activities for kids on a rainy day? Share them below, would love to hear your ideas. Oh my gosh! This list is huge! 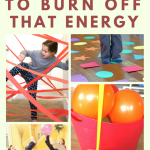 Your burn off some energy ideas are awesome because most of it is stuff people have around their house anyway. 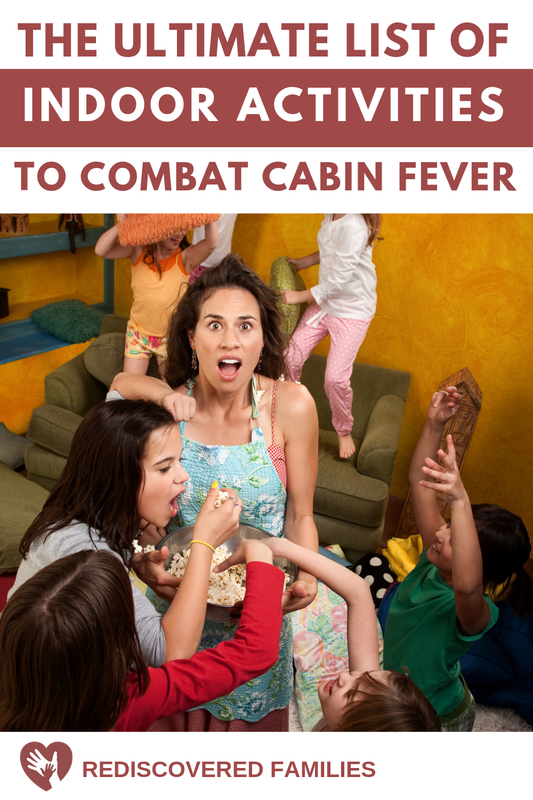 I have six kids and they have done almost every one of those activities and more than once.